This is a makeshift memorial for the Borderline Bar and Grill victims from the shooting on November 7th. It is located at the northeast corner of Moorpark Road and Rolling Oaks Drive. 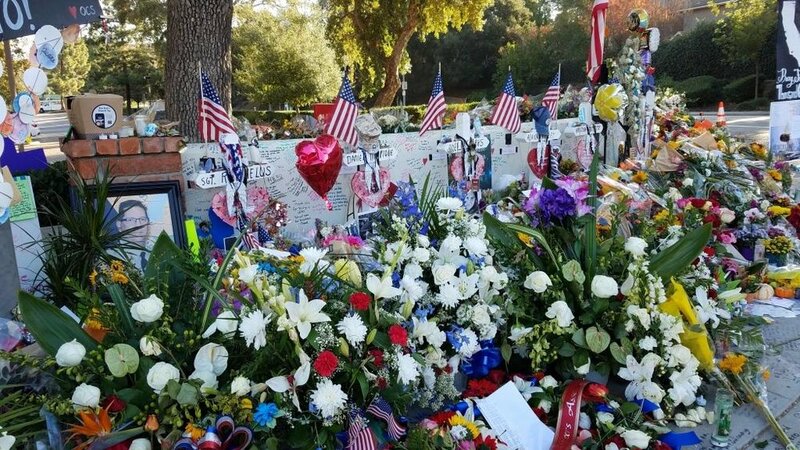 There is a massive outpouring of support for the victims on display at this memorial, which was filmed here the morning of November 20th (subsequently some folks brought canopies to protect the memorial from anticipated rain on the 22nd - Thanksgiving Day). Learn how to support the victims and their families at THIS LINK. There is an extensive list of local fundraisers and tributes for Borderline victims and families on the Borderline Bar and Grill website at www.borderlinebarandgrill.com. Letters of condolence are being accepted for the families of the victims listed above by the Thousand Oaks Police at 2101 East Olsen Road, Thousand Oaks.